We have two excellent Chefs who will spoil you with Sri Lankan or International dishes. The meals can be ordered from our seasonal menu incorporating fresh ingredients sourced locally. Any special meal requests can be accommodated if enough time is given. Alternatively, you are welcome to buy fresh fish, vegetables or fruit from the village market and the staff will be happy to prepare them according to your preferences. 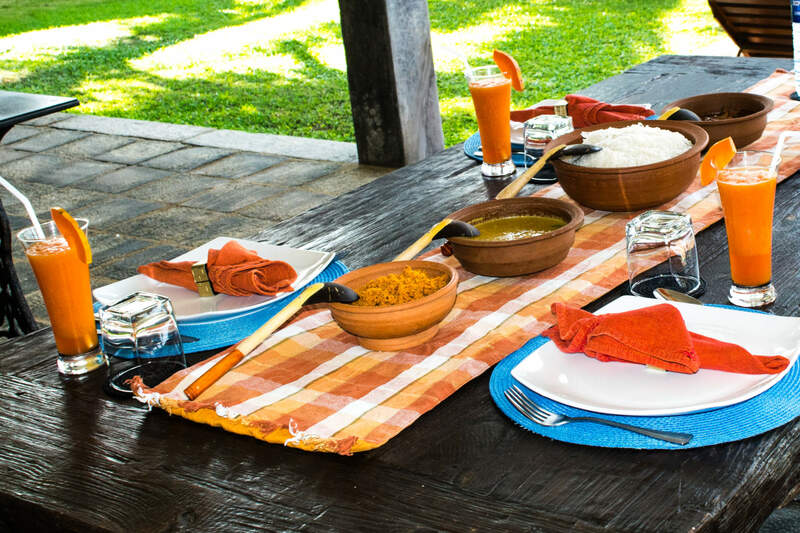 The Sri Lankan dishes on offer are excellent and prepared according to the traditions of the south. Please remember to specify if you prefer mild or medium spice taste in your food as most Sri Lankan curries can be spicy.